Today, after breaking fast I heard a havoc in my bunny cages. I went to the cages and saw a monkey jumping around on the cages. A MONKEY. Where the heck it come from ? After I throw some peebles, the monkey climb up to the roof and ran using the power line. I went to my cages and what a shock. 5 of my bunnies, including one of my friend's died. Their neck are broken and I cannot do a thing. This is my first time I've been attacked by a monkey. This surrounding area never had monkey before. The monkey reach the bunnies through the cages and this is my mistake, I never realized that the gap between the bars on the cage can be breached. 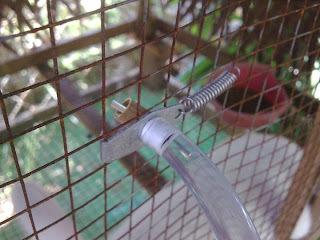 Here is the sample of the cage. The others that use another type of cage are safe. The gaps between the bars are small so the monkey cannot put it arms inside the cage. 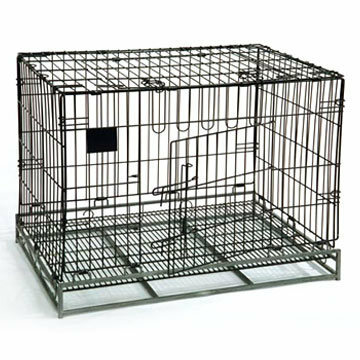 Here is the safest cage. 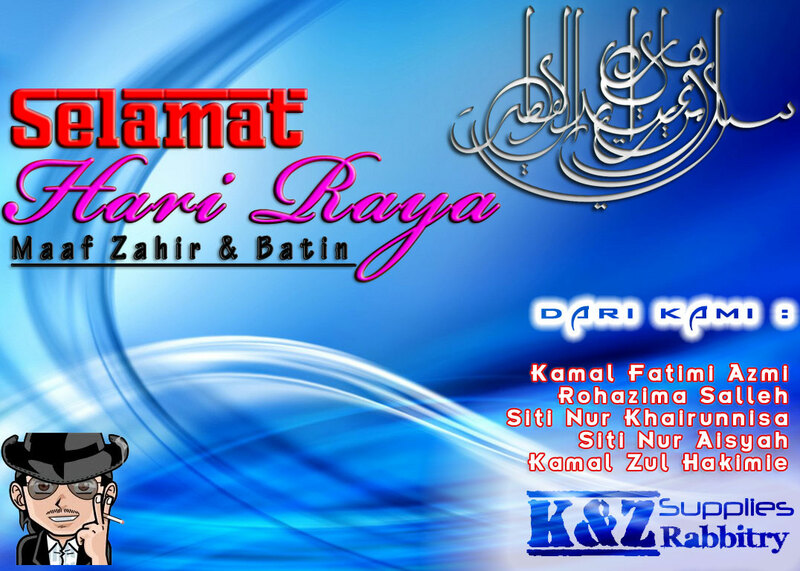 During this festive seasons, we, the management of K&Z Supplies Rabbitry would like to wish all readers 'Selamat Hari Raya Aidilfitri'. Kami ingin memohon keampunan sekiranya kami ada melakukan sebarang kesilapan, samada dengan tutur kata atau tingkah laku, gurauan yang tak kena tempat dan sebagainya.. MAAF ZAHIR BATIN. 10 days had past and the bunnies got better and made some improvements. Some of the infected areas had dry up and revealed a new skin. Maybe i have to wait for a few more days to returned it to their owner. I'm a Vet Now ....? Actually there is nothing to post right now. I've been tending sick bunnies for almost 2 weeks now. They are not mine. They belongs to my friends. I'm just helping them. There are 9 bunnies infected with the sickness. They got mites and I've injected them with Ivermec, got from the vet clinic here in Terengganu. Some got better and some got worst. The worst one need to be re-inject with Ivermec.. again. These bunnies will be quarantine for 4@5 weeks to make sure they never be infected again. Ear mites - this is very common. It is caused by the mite Psoroptes cuniculi. Sometimes another mite is involved - Sarcoptes scabiei, however this mite tends to prefer the whole head area and feet and not just the ears (note that this is a mite that isn't particular about who it infects, if you handle your infected bunny, you will also start to get itchy lesions too). 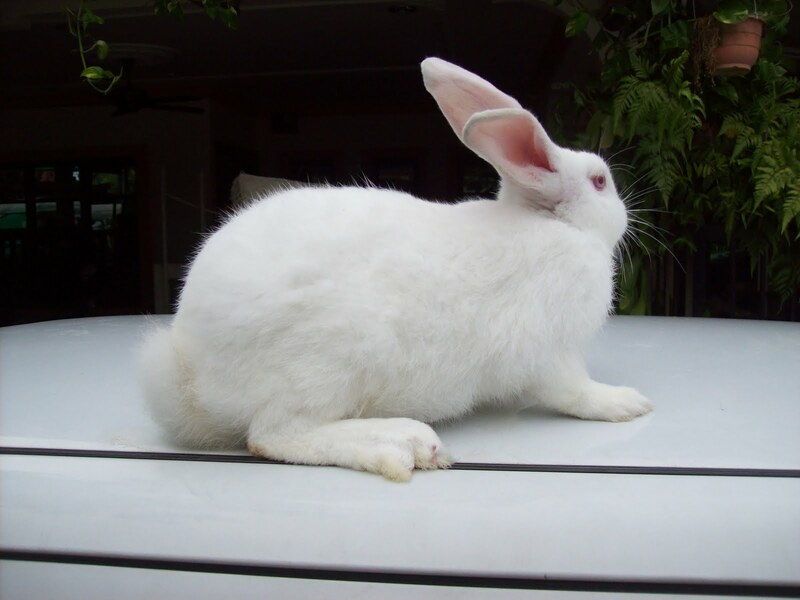 What you commonly find is that your rabbit starts to shake its head a lot and scratch their ears. You would also notice greyish crusty material on the ear lobe and the ears stink. Today is my first ever selling bunnies on open market. A very hectic, tiresome and full of crowd day. I snap a few pics but forgot to snap a few pics of the crowd gathering on my booth. Actually the booth is owned by Teluk Ketapang Youth Club (MAYC). I just take a corner of the booth. A managed to sell a few pairs of bunnies and lot's of booking. 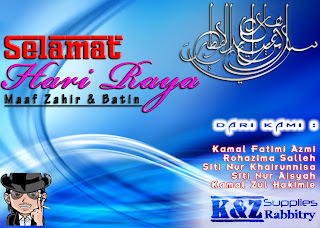 K&Z Supplies Rabbitry will be taking part in Hari Belia Peringkat Negeri Terengganu at Kompleks Stadium Tertutup Gong Badak on this Thursday, 29 July 2010. We will be selling some local bunnies during the one day event and we invite all to attend at our booth. More about this event will be posted soon. 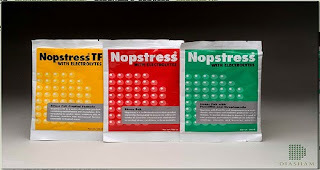 NOPSTRESS WITH ELECTROLYTES Nopstress is scientifically formulated combination of water soluble electrolytes and vitamins to combat stress in poultry during hot weather, vaccination, disease, transportation, etc. It supplies the essential vitamins which are especially required to improve resistance to disease infection during stress. Nopstress is easily dissolved in water, leaving no residue and sedimentation. Contains Electrolytes of Sodium, Potassium, Calcium and Magnesium as the Chloride, Acetate and Di acetate salts. Dissolved 375g in 4L of water. Set the medicator to deliver 40ml of solution/4L of drinking water. Make sufficient fresh solution daily and to be consumed within 24hr. change medicated water every 24 hrs. None of these is sufficient to diagnose pregnancy. Rabbits do have false pregnancies, gain weight, and dig in the bowls for other reasons. And, conversely, many pregnant does show no signs of pregnancies until a few minutes before they are ready to kindle. About 11 to 15 days after breeding, an experienced breeder can palpate a doe and often determine whether she is pregnant. It's definitely possible to miss the small fetuses or to detect fetuses that fail to mature. By about day 27 or 28, it is possible to feel the fetuses once more in the abdomen. It takes much less skill at this point to feel the babies, but it does help you if you know what an non-pregnant doe feels like. Unless your doe is underfed, there is no need to increase her feed during pregnancy, though some breeders will increase it during the last week. The exception is for very large breeds that produce huge litters. I do not increase the feed for my Hollands when they are pregnant. If you know when your doe was bred, place a kindling box into her cage on day 28. She is due on day 31. Yes, it is just 31 days from breeding to kindling! If you don't know when or whether she was bred, place the kindling box into her cage now. Be sure to keep an eye on her because does will use the nest box as a litter box if it is placed too soon. You will need to clean the hay as needed. You can fill the box with hay or straw. Or, you can place the hay or straw into her cage and she will make the nest herself. You can make your own nest boxes. 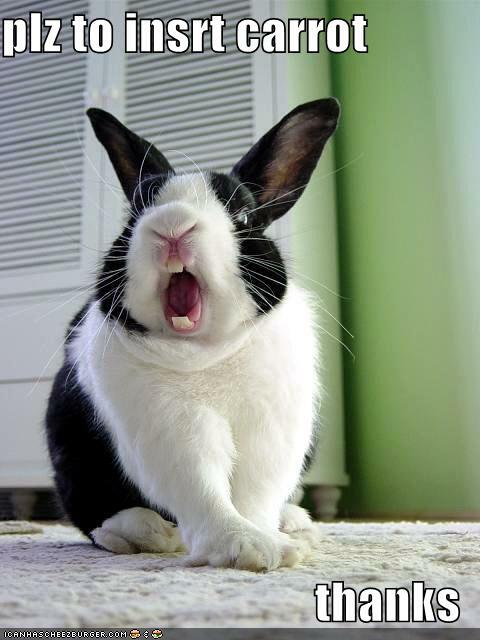 Or, you can order them from an on-line rabbit supply company such as Bass Equipment Company. 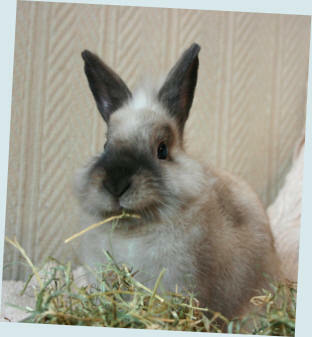 You can read more about caring for newborns at The Nature Trail Rabbitry. Once you are sure that your doe has not been with a male for at least 35 days, you can assume that the pregnancy was a false alarm. As I stated before, this is not just a part time game but it will be my additional income. So, to make it more business-like, I merge this project into one of my company, K&N Supplies Enterprise and name this project as K&N Supplies Rabbitry. So, from now on, all transactions will be made under this company. I will post the bank account later when the new batch is ready to enter the market. Here are the pictures of the new batch of bunnies I bought. 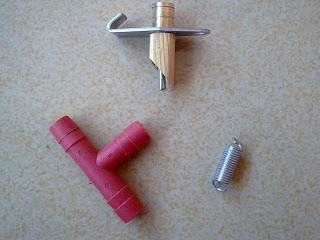 These pictures are taken from their owners' blog post. Sorry, only 4 pictures of NZW can be obtain. The Chinchilla pic will be uploaded soon. The last batch of my new bunnies arrived early this morning (Saturday). 5.00am to be exact. The first batch arrive 1 hour late, at 6.00 pm on Thursday. They all arrived by Transnasional buses. Thanks to pakcik drivers. The new bunnies adapt very quick and their condition are very energetic after a long 7 hours of journey inside a box. Their pictures will be uploaded soon. 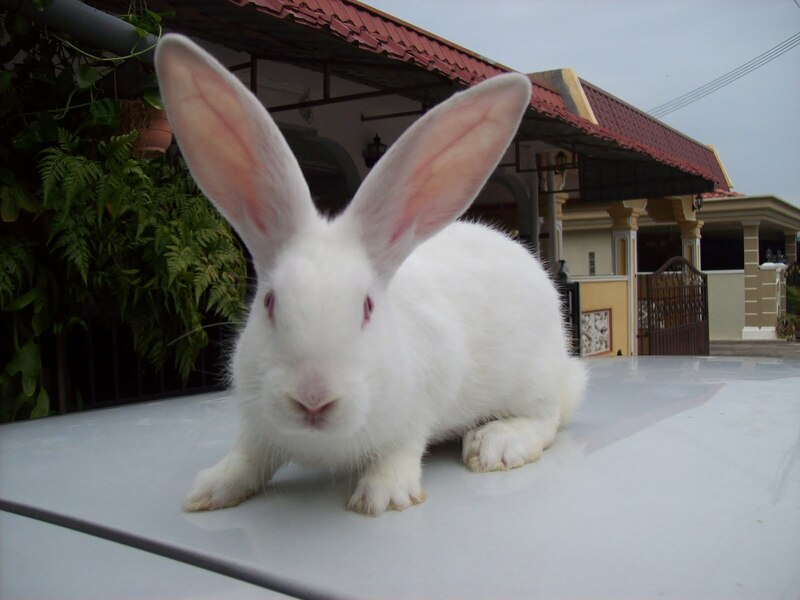 I've been thinking why there are not a single company that can transport pets like rabbits, cats, goats or anything breathing in Malaysia? This is to be consider as a new business. For what I see that there are lots of needs for this kind of business. Maybe our MyRPA can do something about it. Buy a fully equip and state of the art van or small lorry for this business. open braches in every major city and we might even lead the this business. To Shamza, the chinchilla is very big and heavy, my daughter call it giant. And the NZW is so adorable. She made a spin when you pat it on the back. To NewHillz, the buck has a unique tattoo and the does are really hungry. Thanks to both of you, Shamza and NewHillz, maybe I can buy lops from you, maybe next few months. I just integrated this blog with Facebook and received lots of queries and comments regarding this blog. For your information, Ketapang Bunnies is part of Teluk Ketapang Homestay product. We are still improving our rabbitry to house more high quality bunnies. 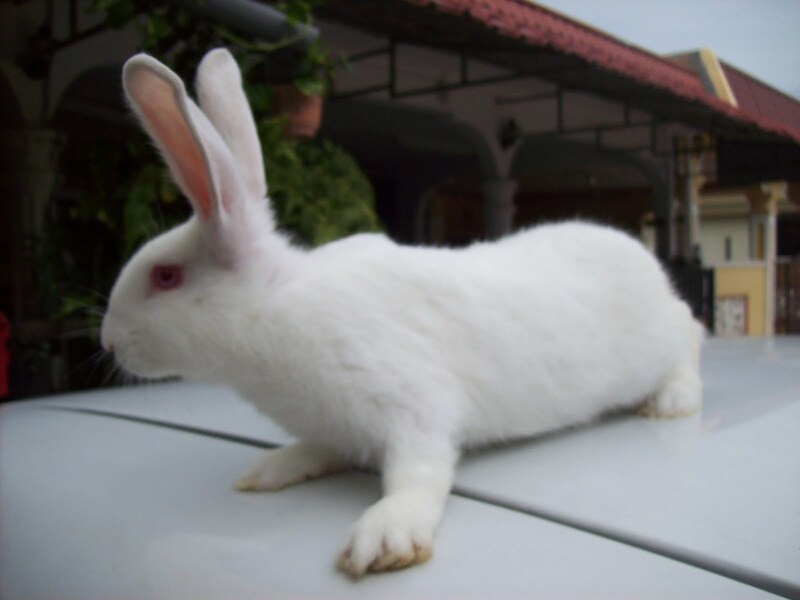 So far we accommodate 20 bunnies ( after we sold 34 bunnies last month ) and will received 5 more bunnies in a few days. 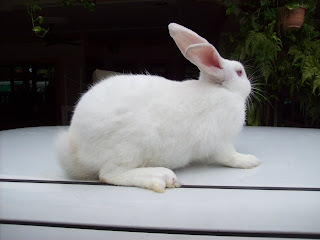 The 20 bunnies we have are pet bunnies ( mostly a cross breed between Lionhead and Anggora, we call them Ganu Fluffy ) and the additional five are meat bunnies ( 4 New Zealand White and a Chincilla ). Our rabbitry are schedule to be open to public in November 2010. but lot's of work still in progress. For those who want to buy some bunnies from us, please wait for our announcement or advertisement. It has been more than two months I post on this blog. I'm very busy in the past 2 months and not been able to make post. Now, with all the works are done, maybe I can start to make new post regularly. On my previous posts maybe you've seen my cages, the wooden ones and after using it for a few months, the BRC and the woods start to break and some are beyond repairs. So I sketch a diagram and sent it to a welding shop to make a new one, TWO new ones. I'm still waiting for 4 NZW and a Chinchilla to arrive maybe next day or so.